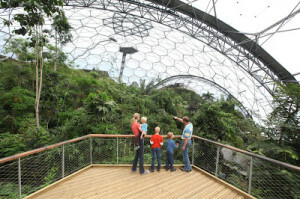 The Eden Project is a dramatic global garden housed in tropical biomas dome. More than just a huge, tropical garden, Eden is a gateway into the relationships between plants and people, and a fascinating insight into the story of mankind’s dependence on plant life. Not only a mind-blowing visitor attraction, Eden is also fast-becoming a unique resource for education and knowledge towards a sustainable future. Experience the sights, smells and scale of the rainforests in the Rainforest Biome – the world’s largest greenhouse – and discover the tropical plants that are used to produce everyday products. Travel to South Africa and California, as you amble amongst the orange and lemon trees, olive groves and gnarled vines of the Mediterranean Biom, and in the 30-acre Roofless Biome see hemp, sunflowers and other plants that could change your future, flourishing under the Cornish sun. 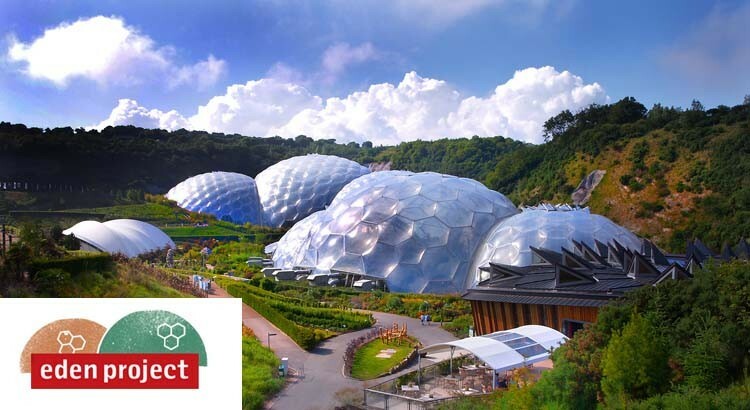 A fascinating location, but, more importantly, the Eden Project is a fun and family friendly day out. Curious kids can find out where tea, rubber and sugar come from, and travel the world to the simulated environments of tropical destinations that they dream of traveling to in the future. There are themed events according to the seasons, workshops for adults and children, activity days, music concerts and much more besides. There’s no stress about packing up a family survival kit – facilities include on-site restaurants and cafes, gift shops and well equipped child- and baby-friendly toilet facilities. In fact, for a day out you needn’t worry about taking much more than yourselves. Eden also offers easy access to wheelchairs and buggies, and dogs on leads are welcome in all the outdoor areas of the site. There’s so much going on at Eden that it’s good to check their own events calendar and food menus before a visit to make sure you don’t miss out on anything.